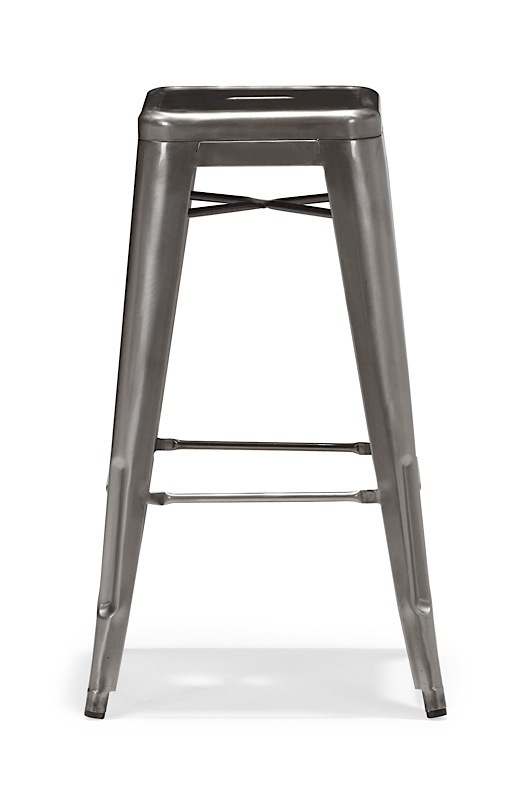 The cafe-inspired Myles Bar Stool harkens back to past generations. 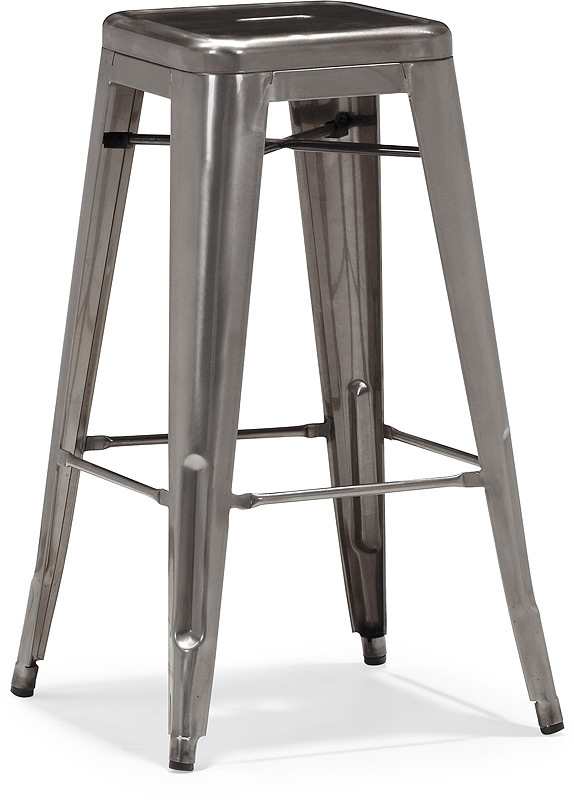 The classic design is rethought and remade from formed steel, perfect for any modern dining room, breakfast nook or kitchen. 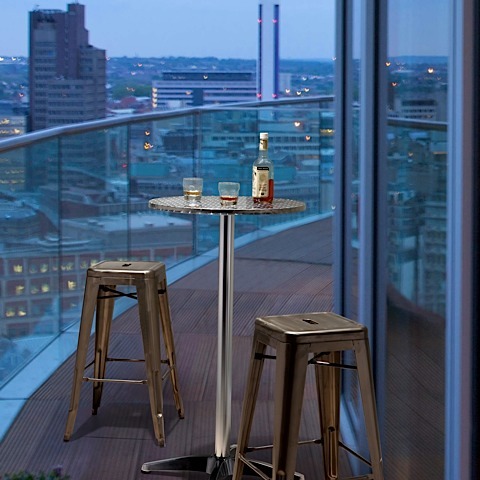 Myles is a cool blend of retro and modern; offered in three finishes to suit your space. The "rustic wood" finish features a faux rust galvanized steel finsih with a solid elm, reclaimed wood top. The "Antique Black Gold" finish features an exquisite black with raw gold accent finish. 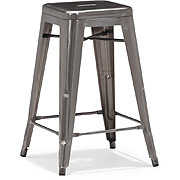 And "Gunmetal" is modern-industrial at its finest. 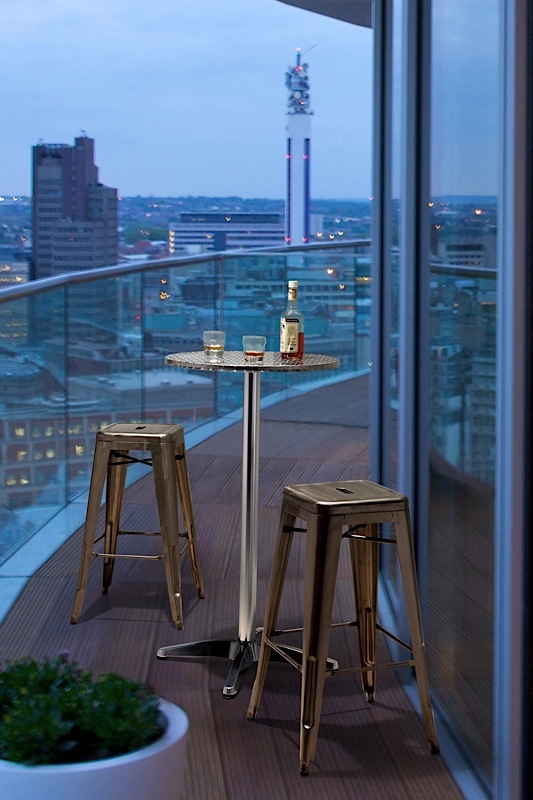 Designed and manufactured for commercial use, the Myles Bar Stool has a 29.5-inch seat height. Priced individually, Myles is only sold in MULTIPLES OF TWO (2).